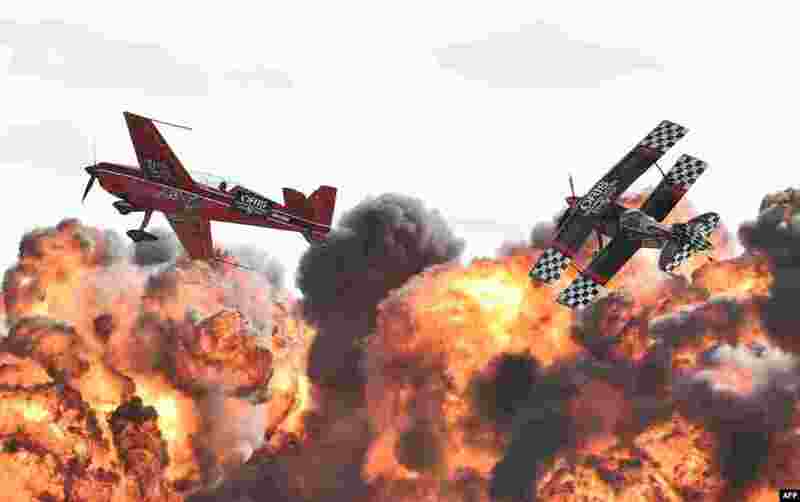 1 Acrobatic pilots perform at the Australian International Airshow at the Avalon Airfield in the city of Lara, southwest of Melbourne. 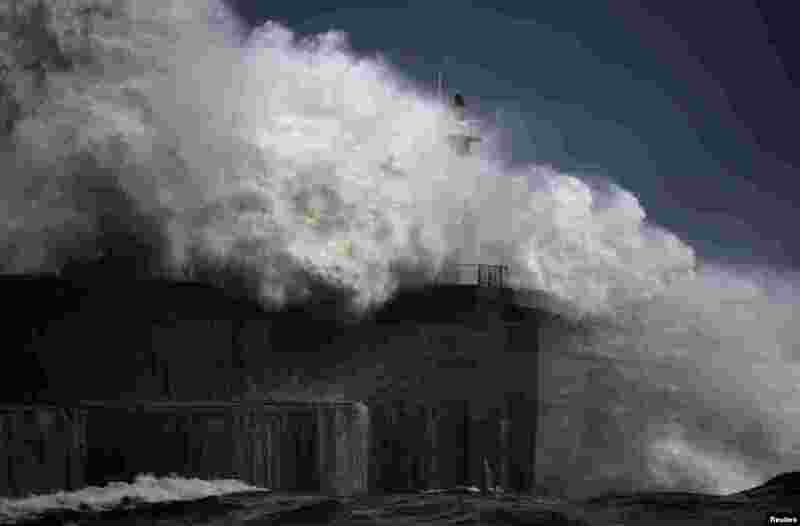 3 Huge waves crash on the San Esteban de Pravia seafront in the northern Spanish region of Asturias. 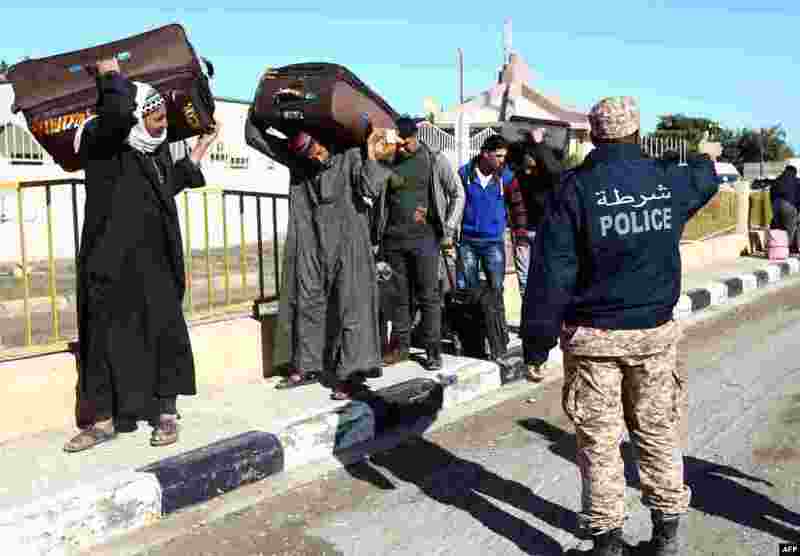 4 Egyptians walk carrying their belongings toward the Libyan side of the Ras Djir border crossing as they head to Tunisia for a flight evacuating them back to Cairo. Since the release of a gruesome video showing the beheading of Egyptian Christians by Islamic State group militants on a beach in Libya, Cairo has urged the hundreds of thousands of Egyptians working in Libya to leave, and also chartered planes to fly many of them home from Tunisia.